Meadow Lawn & Landscape provides lawn care and pest control services in Suffolk, Newport News, Carrollton, and Smithfield, Virginia. Give us a call today at 757-238-8901 for a free quote. Chris Brisson founded Meadow Lawn and Landscape in 2008 to provide dependable lawn and landscape services in the Hampton Roads region. As a local, family-owned company we understand how important it is to find friendly and reliable people to tend to your property in full safety and with the utmost respect. All these years we focused our operations on our clients’ needs, wishes and expectations, managing not only to meet them but exceed them as well. Our mission has always been to offer both our residential and commercial clients with efficient, affordable and high-quality services and, from this point of view, we have achieved excellence. Our growing pool of loyal customers can always vouch for our highly professional conduct, our state-of-the-art services, equipment, techniques and employees. Our experience in business in the Suffolk, Newport News, Carrollton, Smithfield and the surrounding areas in Hampton Roads gives us the experience necessary to take care of your lawn care needs without the problems or hassles of dealing with less experienced companies. Our professional staff uses the latest scheduling and billing software to ensure your lawn service always occurs when scheduled, and your bill is delivered to you accurately and on time. Our professional office staff will also be there to address your questions or concerns by phone or email in a timely and courteous manner, without having to make numerous calls or requests. Our team leaders and technicians have years of grounds maintenance experience and they all do excellent work. We believe in the skills of our staff so much we offer the strongest and boldest guarantee in the industry, if we can not fix the issue, you will not be charged for the service and we will pay a competitor of your choosing to fix it for you. We also use commercial grade equipment, and service it daily to ensure you get the highest quality lawn maintenance every time. Our worry-free lawn care services are customizable to your needs including lawn mowing, fertilization, weed control, sprinkler systems, landscaping, landscape maintenance, and outdoor pest control. Lawn care or lawn service - we offer a full service lawn maintenance program and strive to provide the best lawn care in Suffolk, Newport News, Carrollton, and Smithfield, VA. If you have a property needing lawn service or pest control services in our service area give us a call at 757-238-8901. Reliable lawn care service is only a phone call away! How Did We Manage to Become an Industry Standard of Good Practices? We know that happy customers, are the returning ones, and the ones promoting our good name through their social networks. We also know that happy employees represent the engine that makes any company successful. This is why we permanently invest in our team, training our employees in client care, landscape industry standards, safety measures, and so on. It’s important for us to provide you with the friendliest, reliable, approachable and professional workers who know their job and give 110% to exceed your expectations. Politeness, efficiency, honesty and transparency are our main values and all our team members embrace this company culture while they treat your lawn as if it was their own. We all live here, three doors down from you and we will strive to achieve excellence and help the community grow stronger. Is There Any Risk in Trying Us Out? Absolutely none! All our services come together with our 100% iron-clad, risk free and money-back guarantee. If our work is not excellent, we will redo the job in question for free. If you are still not happy, we will charge you nothing. If the item in question is still not fixed to your total satisfaction, we will pay another company of your choice to solve the problem. Nothing is more important to us than your complete satisfaction! Thank you for visiting our website. All of us here at Meadow Lawn & Landscape look forward to providing you with affordable, worry-free maintenance for your lawn and landscape. We strive to deliver a level of service that exceeds the expectations of our customers. If you have questions about our services please do not hesitate to contact us. 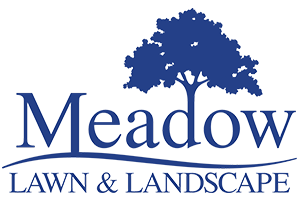 Chris Brisson, the founder of Meadow Lawn & Landscape started the company in 2008. From the start Chris had the goal of having the best lawn care company in Suffolk, Newport News, Carrollton, and Smithfield. In order for his team to do this they had to be different than the other lawn care companies in the area. Here are a few ways they have separated themselves from the others. WE HAVE THE HIGHEST RATINGS… in Hampton Roads.